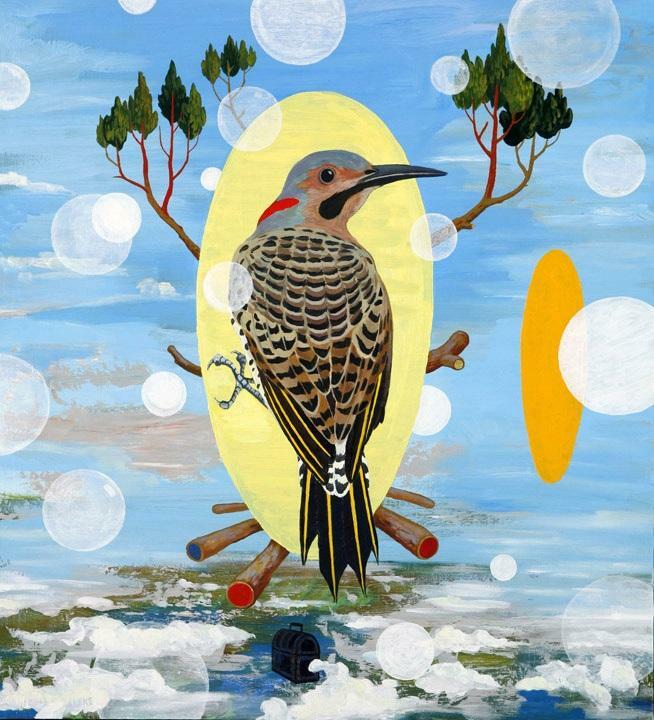 Artist Cannupa Hanska Luger's exhibition is on view at the economic development agency Travois. “Nobody gets out alive on planet Earth,” says Cannupa Hanska Luger. Luger’s work is sometimes high-profile and sometimes politically charged, as it was when he created mirrored shields for activists protesting the Dakota Access Pipeline near the Standing Rock Sioux Reservation in North Dakota in 2016. The protesters, who called themselves water protectors, held up the shields to direct attention away from themselves and back at the law enforcement agents whose job it was to control the crowd. “Police are human beings, and they need water just as we all do, the mirror shield is a point of human engagement and a remembering that we are all in this together,” Luger wrote on his website. 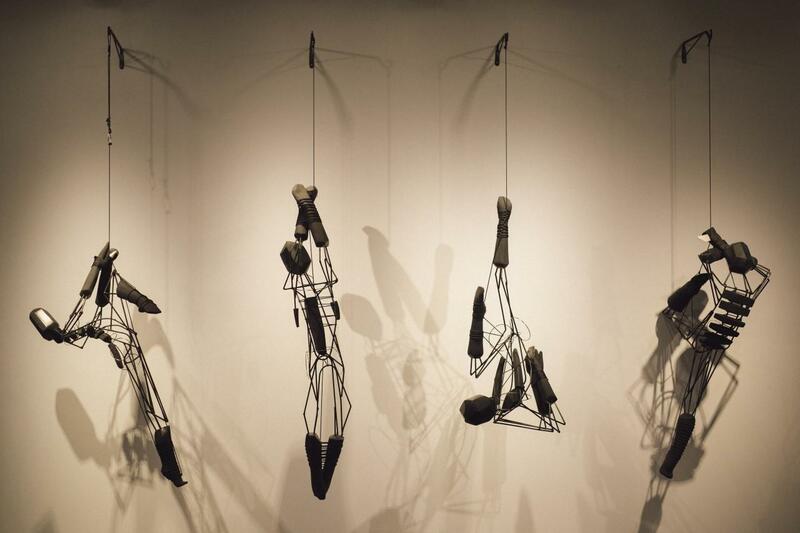 A grouping of Luger's 'We Have Agency' sculptures. Luger’s is the fifth exhibition of contemporary American Indian artists to be mounted at Travois, an economic development consulting firm in the Crossroads, where owners Phil and Elizabeth Glynn help design and find funding for projects that benefit Native Americans, such as building affordable housing and running high-speed internet into remote Alaskan villages. Traveling for work, the couple has seen the modern American Indian experience in nearly all 50 states. However, Glynn says he knows that most of their fellow Kansas Citians haven’t grown up around indigenous people — that they’re aware of. 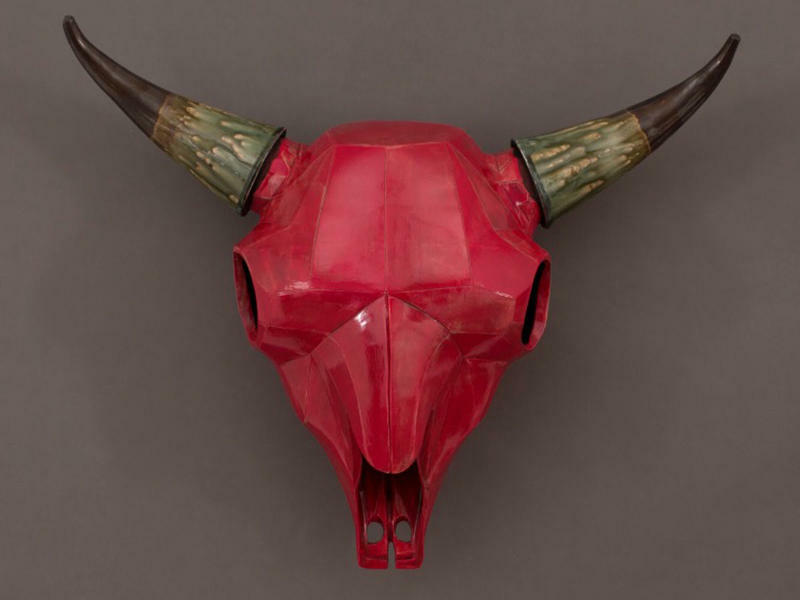 Luger's 'Without Sun Silence' is a wall-hanging ceramic skull. He also knows that, while Travois works with groups all over the nation, they don’t have a lot of foot traffic in and out of their office. So, to open their doors to the community, and in turn open modern American Indian culture to the community as well, Travois assembled a nine-part series of art exhibitions juried by a panel of art experts. Among the judges were Bruce Hartman, executive director of the Nerman Museum of Contemporary Art; Gaylord Torrance, senior curator of American-Indian art at The Nelson-Atkins Museum of Art; and America Meredith, publishing editor of First American Art Magazine and a registered member of the Cherokee nation. They’ve selected shows that represent traditional arts such as weaving, and more contemporary work involving architectural interpretations of American Indian historical events. Though the 17 pieces that make up Luger’s exhibition were taken from his existing body of work, they speak more to the individual than much of his work about society as a whole. 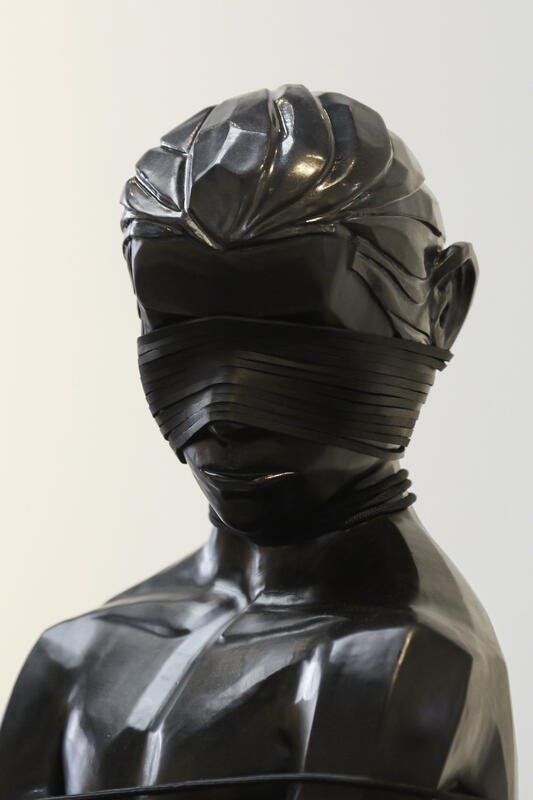 Luger's 'We Have Agency III' is a ceramic standing figure. The show incudes pieces in a variety of media but is ceramic-centric. Four ceramic buffalo skulls are representative of the spirit of the collection, Luger says. Each skull is inscribed with a Latin phrase, an idea he took from the millennia-long practice of inscribing sundials. The skulls contain a message pertaining to cherishing the time we’re given and not waiting until later to celebrate our lives. Luger is descended from and is an enrolled member of the Mandan, Hidatsa, and Arikara Nation tribes. His family also has Germanic and Scandinavian blood. 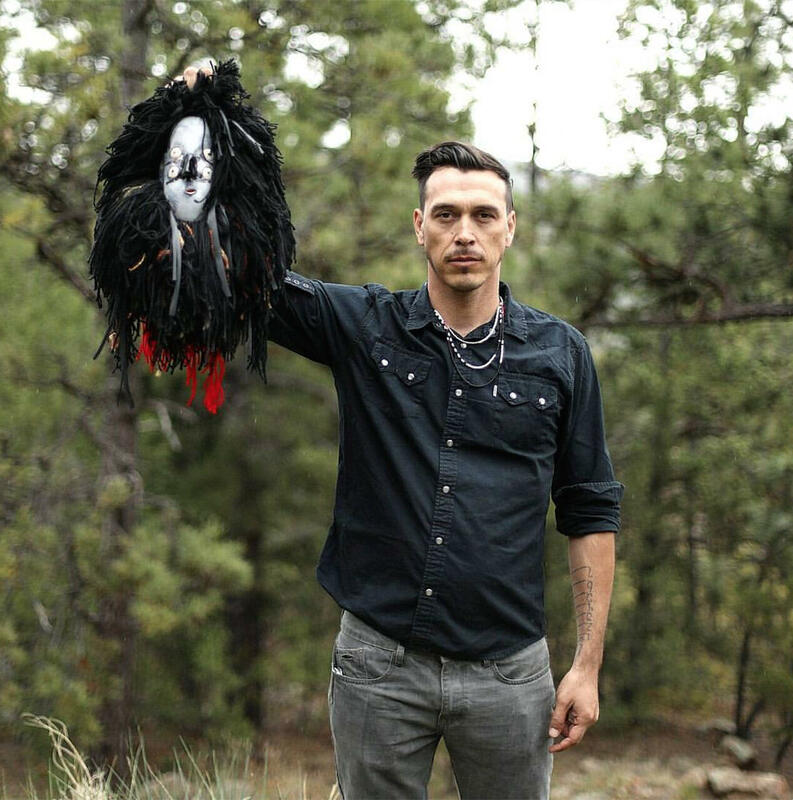 He says he agrees with Glynn that society is stuck on a certain portrayal of Native people. Now, as far as he’s concerned, it’s time to bring another, more accurate image to the forefront. “Native people have been astronomers and scientists and health professionals. These are all narratives that existed prior to contact but that were kind of subdued after contact,” he says. The Travois exhibition attempts to start answering those questions. Cannupa Hanska Luger’s “Life is Breathtaking,” from 6-8 p.m, artist talk at 6:30, Friday June 1, at Travois, 310 W. 19th Terr. in Kansas City, Missouri 64108. Through July 20, 2018. This fall, the Nelson-Atkins Museum of Art opens its blockbuster exhibition "The Plains Indians: Artists of Earth and Sky," with works ranging from a 2,000-year-old stone pipe to beaded designer shoes from 2011. To spark enthusiasm, three enormous teepees now compete with the Shuttlecocks on the Nelson’s south lawn. 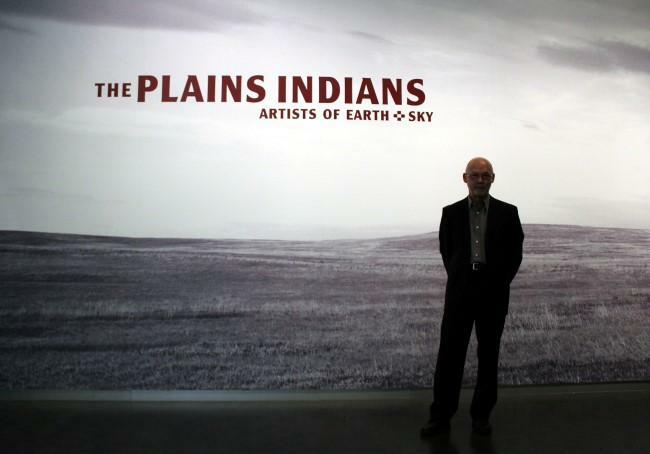 The new exhibition at the Nelson-Atkins Museum of Art, The Plains Indians: Artists of Earth and Sky, includes nearly 140 masterworks from private and public collections across North America and Europe. There’s a 2,000-year-old pipe, 18th century-painted robes and beaded designer shoes from 2011. Some curators might find it offensive if someone asked them to choose a few favorite works — well, actually, just two — from an exhibition they'd worked on for nearly five years.